Upper portion of stage I. The WVG is really two separate lifts with shared cabins. The original cabins were replaced with Sigma Diamond cabins after these photos were taken. 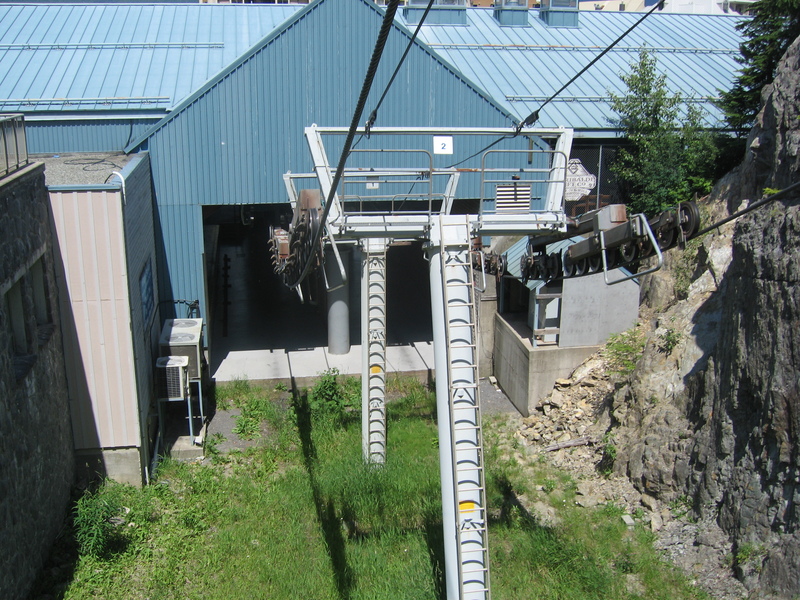 Arriving at the mid-station where cabins switch between haul ropes. 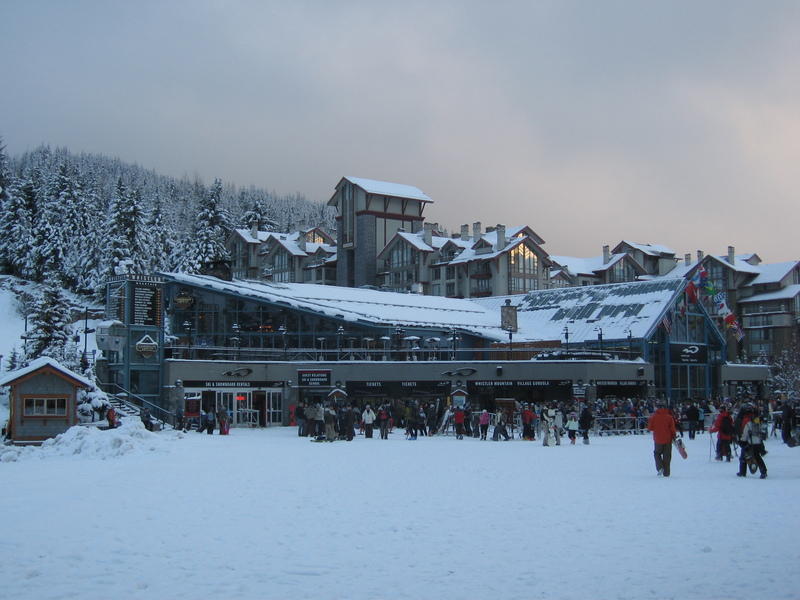 Base station in Whistler Village. 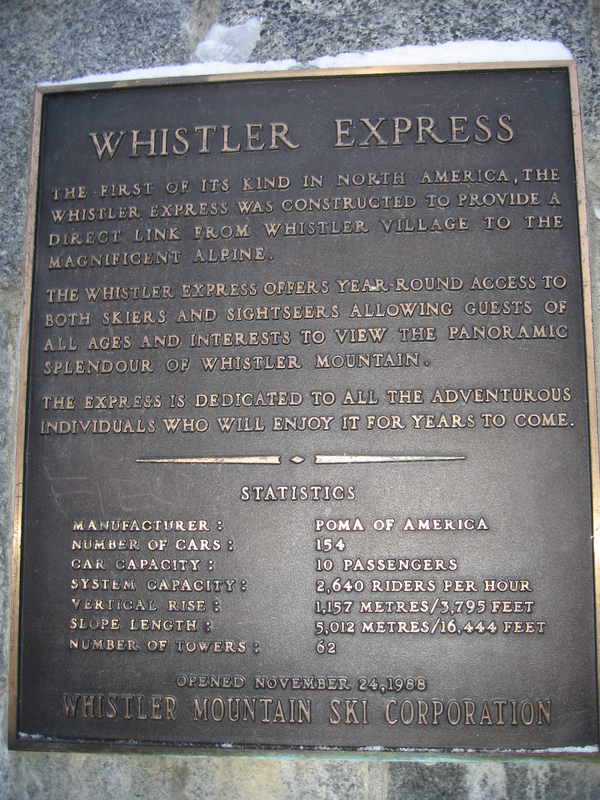 Poma plaque showing the lift’s original name. 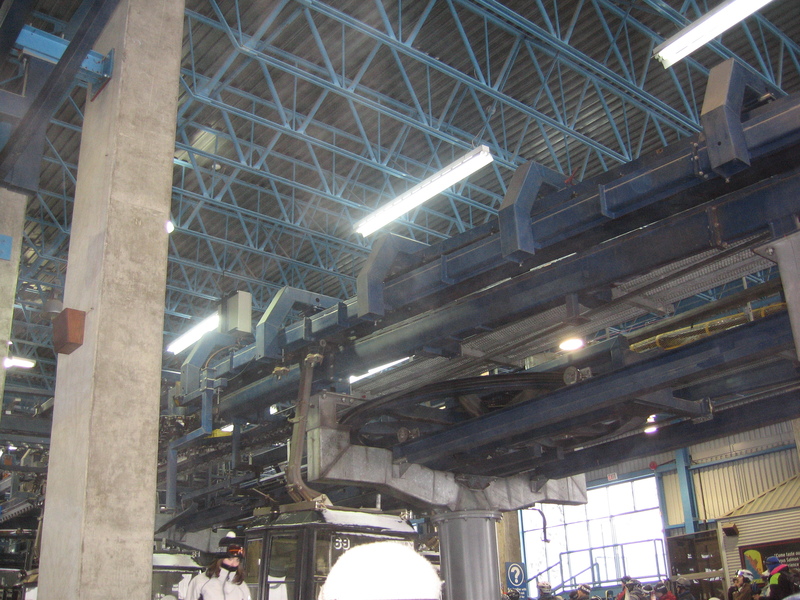 Inside the bottom terminal loading area. Elevators to underground cabin parking at Olympic Station. 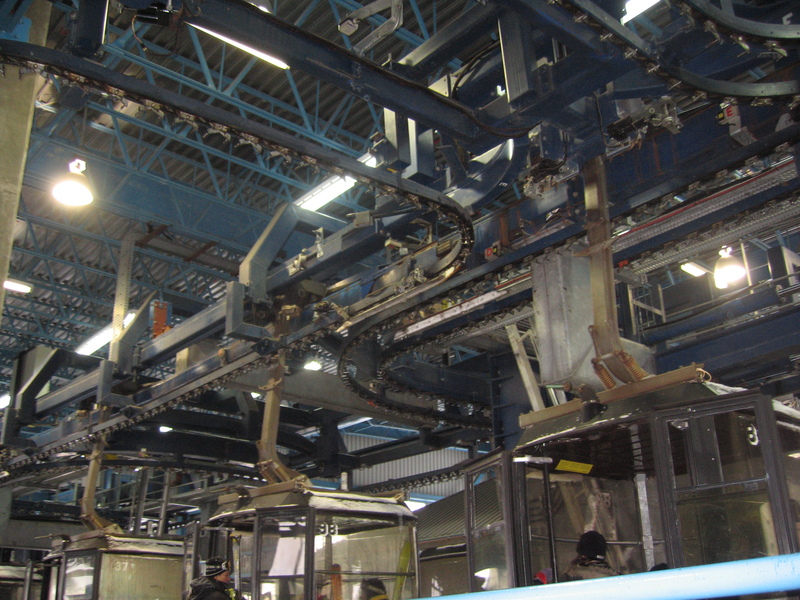 Chain-driven rails in the mid-station. 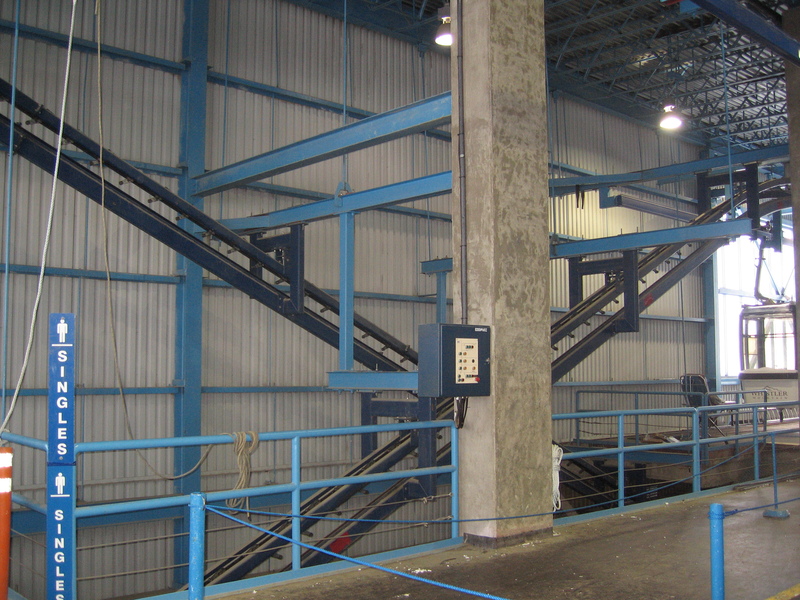 Each section of the lift can be run independently if necessary. 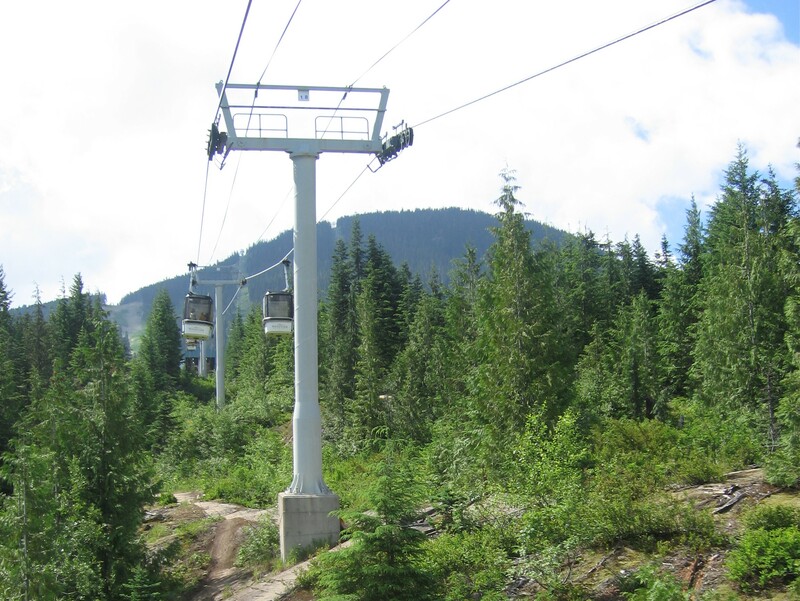 The Whistler Village gondola received new Sigma Diamond cabins in 2014. 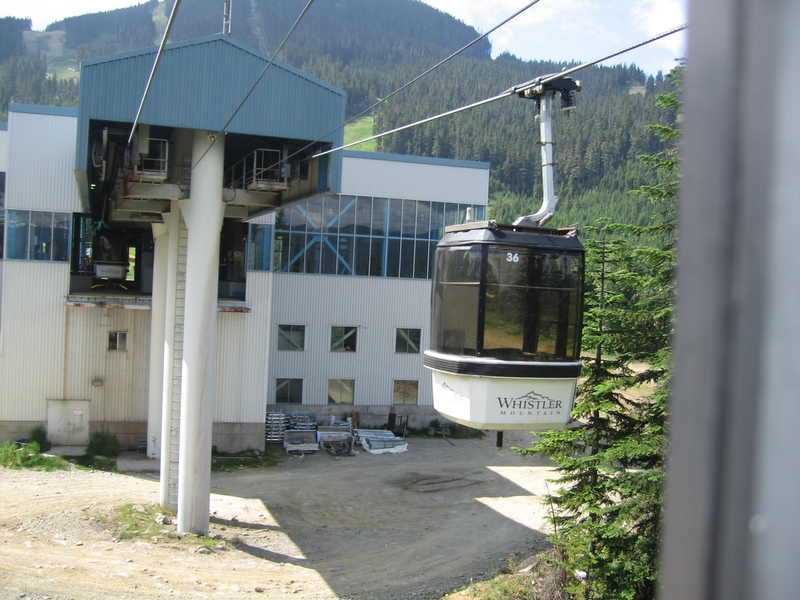 The Whistler Village gondola got new cabins in 2014, and is now an 8 MDG Lift. 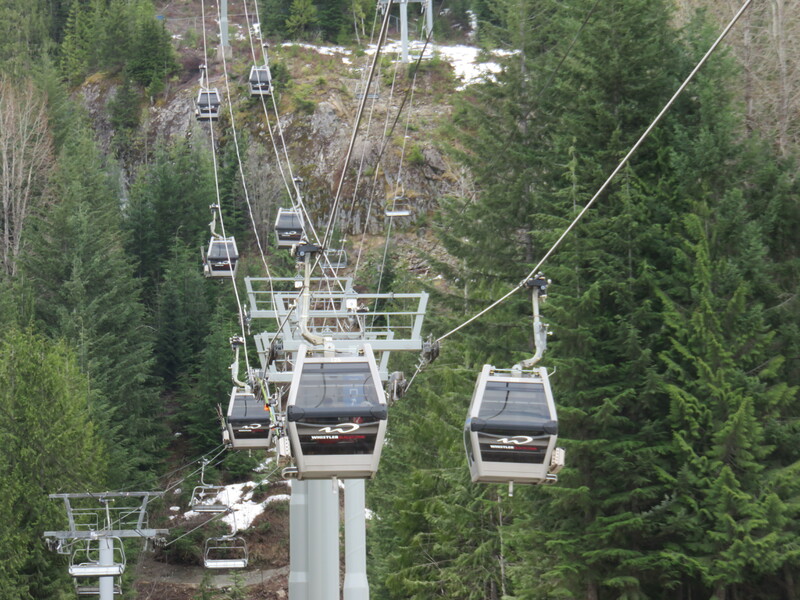 I will be up there this summer if you would like pictures of the gondola with new cabins. Fitzsimmons also no longer has bubble chairs, they are now just regular 4 CLD Chairs. Just curious, but do the bubbles make an appearance on the Fitzsimmons Express in the summer time? I seem to be seeing quite a bit of media showcasing the bubbles on like every third carrier during summer ops. They did at one point, but they don’t anymore. They don’t put them on even in the winter anymore. I think they all got moved over to Wizard and Solar Coaster. Yeah, Wizard and Solar coaster have tons of extra bubbles. They arent normal and bubble for the whole lift line.